TimeZone : Vintage Watches » Can you ID this watch??? 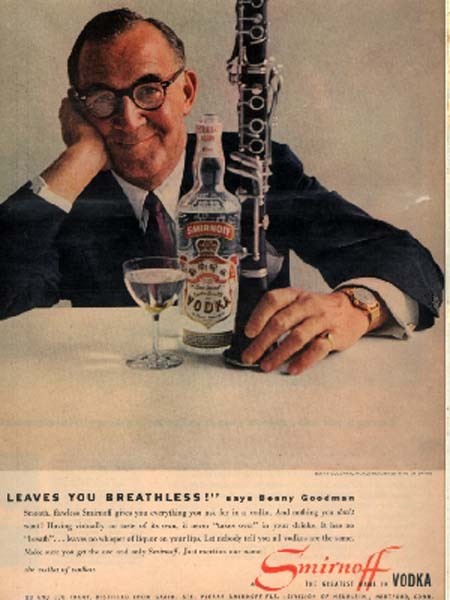 Trolling around another interest of mine, Clarinetists, and found this ad. Anybody know what watch Benny is wearing?